Yachts start off from Hong Kong harbor in last year’s Rolex China Sea Race, which ends in Subic Bay, Zambales. 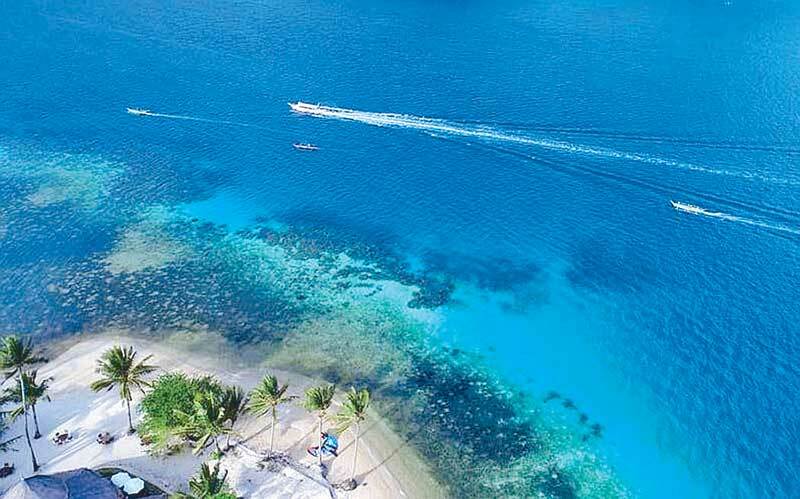 MANILA, Philippines — The Department of Tourism (Dot) is set to host the first Hong Kong to Puerto Galera yacht race next month, as it aims to develop the country’s adventure tourism product. In a statement, the DOT said the event in partnership with the Royal Hong Kong Yacht Club (RHKYC) and the Municipality of Puerto Galera is slated on April 17 to 21, 2019. “The race will start in RHKYC’s Kellett Island Clubhouse located in Causeway Bay, racing for a distance of 650 nautical miles to Puerto Galera, Oriental Mindoro,” the DOT said. 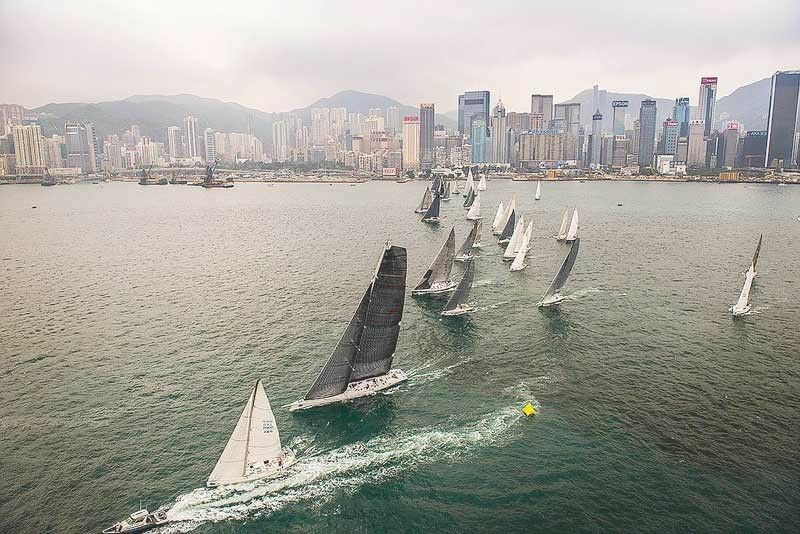 It added that the event will be the second longest Category 1 yacht race in Asia, after the Hong Kong to Vietnam Race. “Race organizers say that Puerto Galera is a perfect place to end the competition, as its surrounding beaches and coves offer activities and facilities one could wish for in a tropical paradise: scuba diving, snorkeling, golf, kayaking, hiking, swimming, tennis, bars, music and restaurants,” the DOT said. The Hong Kong to Puerto Galera Yacht Race is planned to take place on alternate years to the Rolex China Sea Race, which finishes in Subic Bay, Olongapo City, Zambales. Last year’s edition of the Rolex China Sea Race saw 29 entries and the RHKYC expects similar numbers for the inaugural Hong Kong to Puerto Galera Yacht Race. The 1st Hong Kong to Puerto Galera Race will be held next month, ending up in Puerto Galera in Mindoro, which offers numerous eco-adventure tourism sites. “The DOT believes that this will attract more visitors to Puerto Galera, in line with the agency’s thrust of boosting adventure-based tourism to the region based on the 2016-2022 National Tourism Development Plan,” the DOT said. An earlier survey by multimedia news site US News & World Report ranked the Philippines 22nd out of 80 in the best countries for adventure tourism. This, however, is six spots lower than its 2018 ranking of 16th. “We are elated having received yet another recognition of our world-class tourism attractions, specifically eco-adventure tourism sites,” Tourism Undersecretary Benito Bengzon earlier told The STAR. “Considering the countless adventure destinations around the globe, both natural and man-made, being ranked 22nd out of 80 countries simply means we are within the top 30 percent of the best places to go to for great fun, according to the reputable news magazine,” he added. Bengzon emphasized that the Philippines is indeed endowed with richly-diverse natural wonders suited for adventure tourism, including mountain climbing, bird watching, island hopping, surfing, kayaking, whale watching, glamping and many more. “The Philippines National Tourism Development Plan for 2016-2022 lists adventure tourism as one of our 10 major tourism products, as we strengthen our sustainable tourism program that seeks a balance between tourism and environmental protection,” Bengzon said.